Inspired by Kevin Kelly’s book Cool Tools: A Catalog of Possibilities , I have set out to document tools that I find particularly interesting or useful, primarily in my work as an electronics hobbyist and professional electrical engineer. This is the first post in that series. 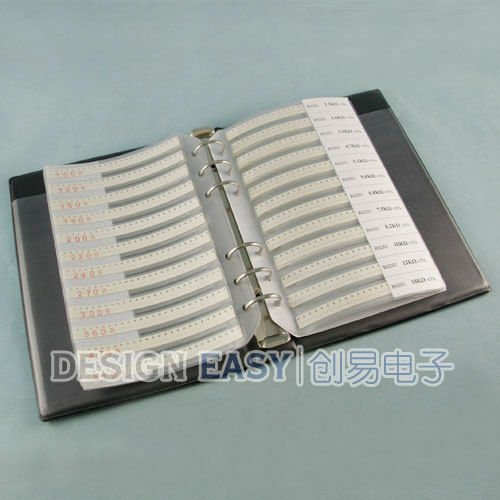 These SMD component books are super handy for all sorts of electronics prototyping, construction, and repair projects. I bought a full set of these books for my lab bench at the office some time ago and and have found them invaluable. I liked them so much that I bought a second set for home! 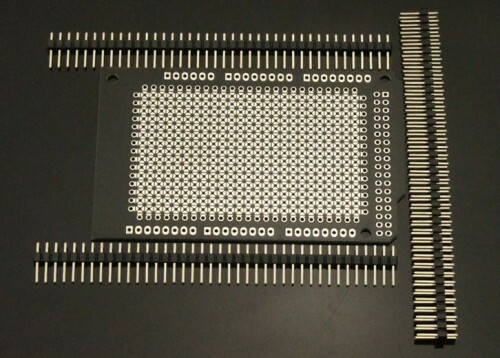 I prefer these component books over other types of SMD kits such as trays, bins, drawers, or bags because they don’t take up much space on the shelf and they keep components nicely organized in order by value. Components are easy to access and hard to mix up. 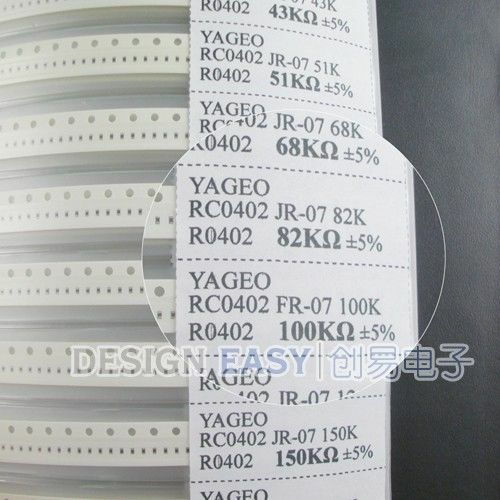 There are many other vendors on eBay and aliexpress that sell component books just like these, but I like Design Easy because they have reasonable prices and carry resistor and capacitor assortments from size 1206 all the way down to 0201. You can save on shipping by ordering a complete set at once. 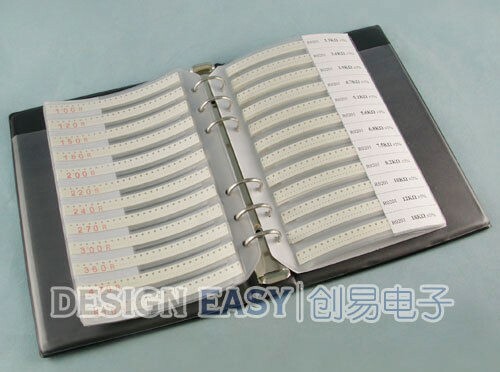 Their “practical book” series contains an assortment of SMD resistors and capacitors in one book, while the separate resistor and capacitor kits are more complete and IMHO generally more useful, particularly if you use capacitors a lot and need a wider assortment of values. 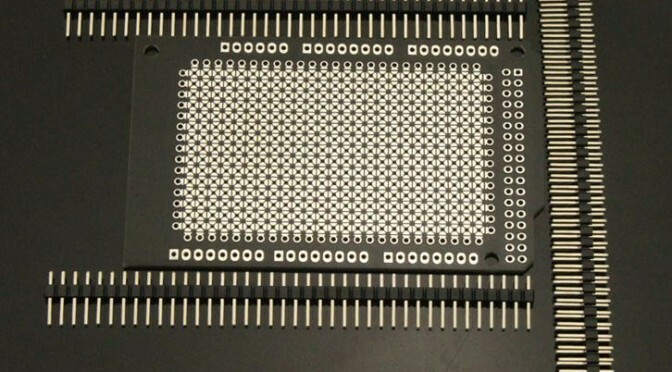 Bonus: If you want to create your own component assortment or add extra pages to an existing one, Adafruit carries Blank SMT Storage Books and extra Storage Pages.